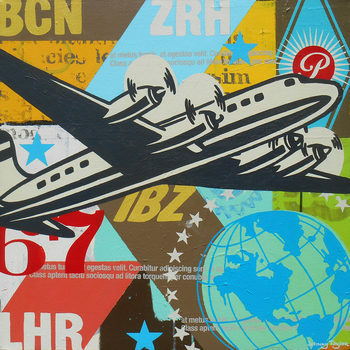 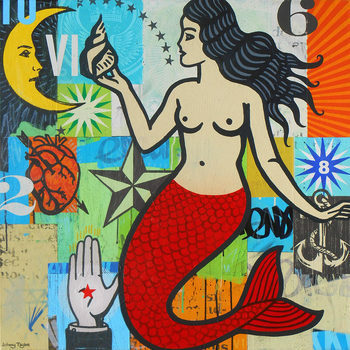 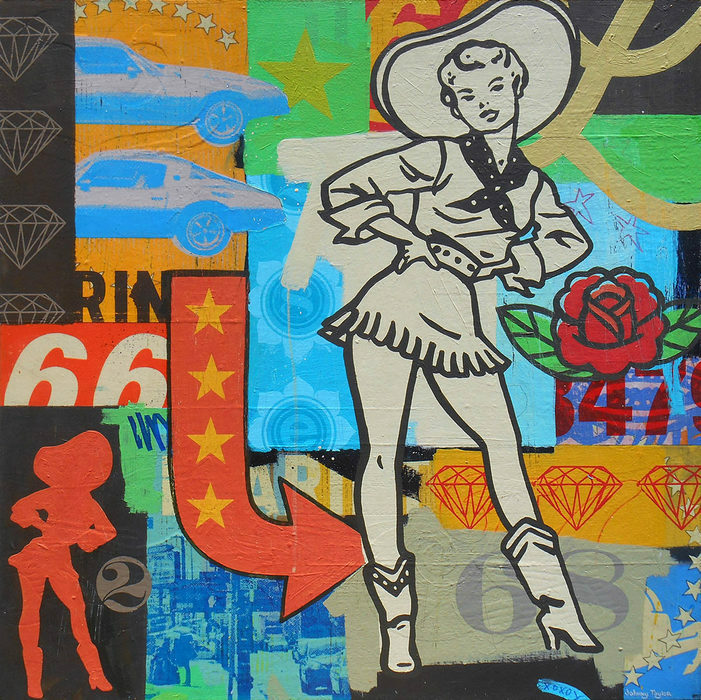 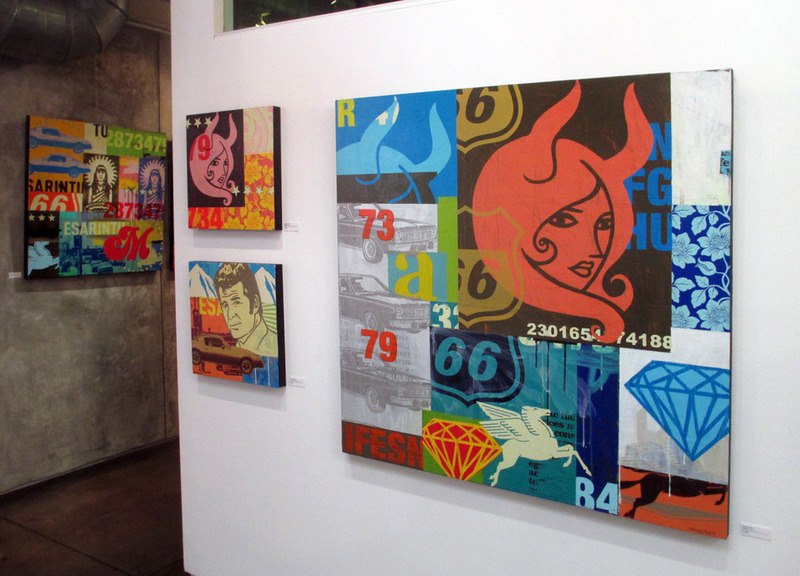 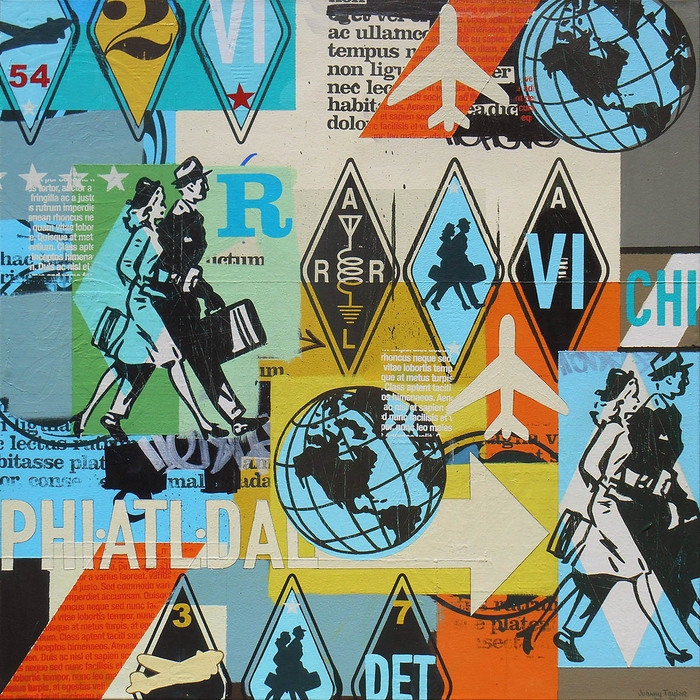 Four Star Travel, 2015 Acrylic, Screen Print & Marker On Canvas. 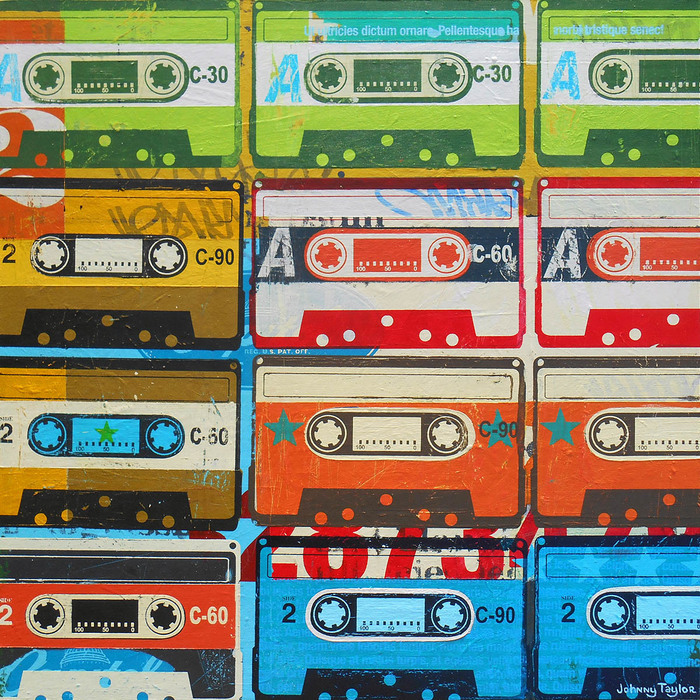 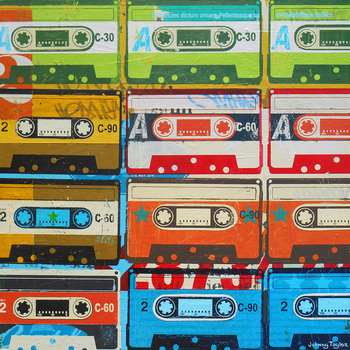 40"X40"
12 Cassettes, 2015 Acrylic, Screen Print & Marker On Panel. 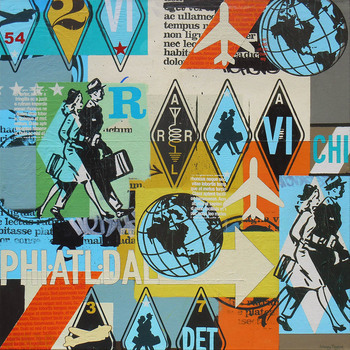 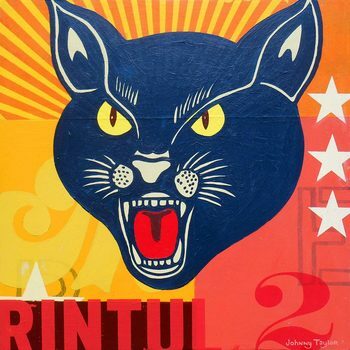 30"X30"
Untitled, 2015 Acrylic, Screen Print & Marker On Canvas. 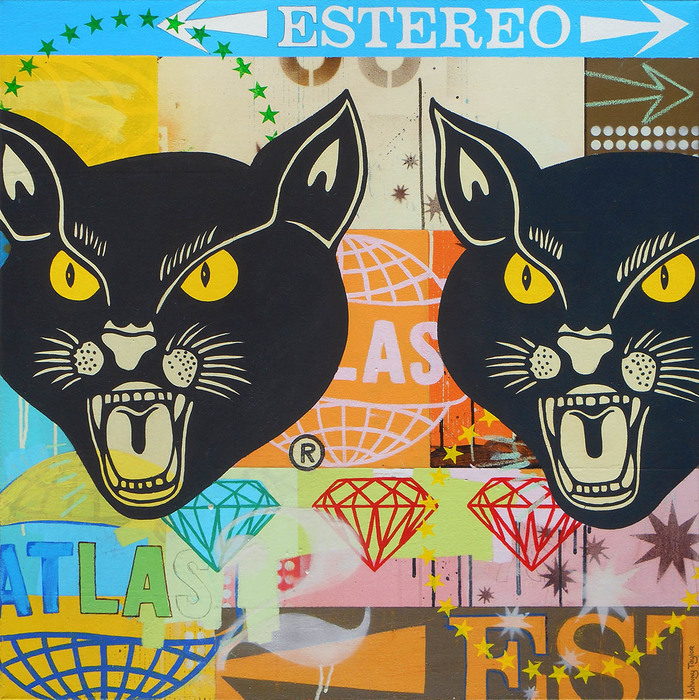 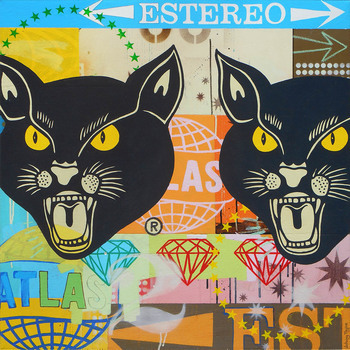 48"X48"
Estereo, 2014 Acrylic, Screen Print, Spray Paint & Marker On Canvas. 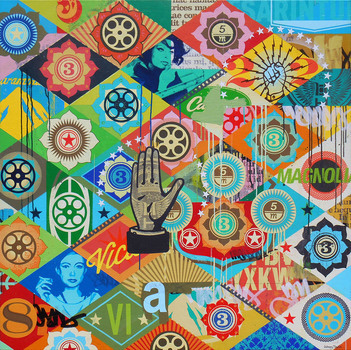 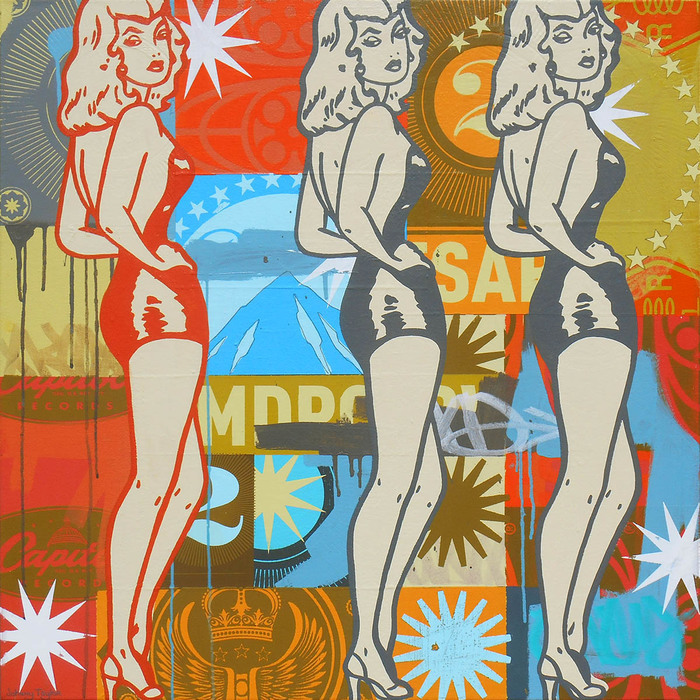 36"X36"
3 Graces, 2014 Acrylic, Marker, Spray Paint, Screen Print On Panel 36x36"